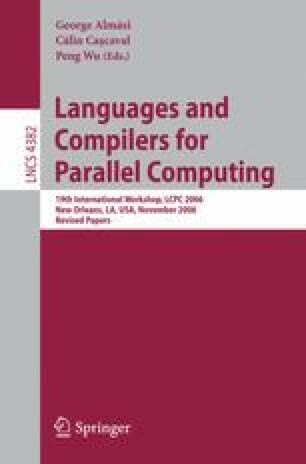 We present a novel and efficient container-centric memory allocator, named Defero, which allows a container to guide the allocation of its elements. The guidance is supported by the semantic-rich context of containers in which a new element is inserted. Defero allocates based on two attributes: size and location. Our policy of allocating a new object close to a related object often results in significantly increased memory reference locality. Defero has been integrated to work seamlessly with the C++ Standard Template Library (STL) containers. The communication between containers and the memory allocator is very simple and insures portability. STL container modification is the only needed code change to achieve custom memory allocation. We present experimental results that show the performance improvements that can be obtained by using Defero as a custom allocator for STL applications. We have applied our memory allocator to the molecular dynamics and compiler applications and obtained significant performance improvements over using the standard GNU STL allocator. With our approach custom memory allocation has been achieved without any modification of the actual applications, i.e., without additional programming efforts. This research supported in part by NSF Grants EIA-0103742, ACR-0081510, ACR-0113971, CCR-0113974, EIA-9810937, ACI-0326350, and by the DOE Office of Science.